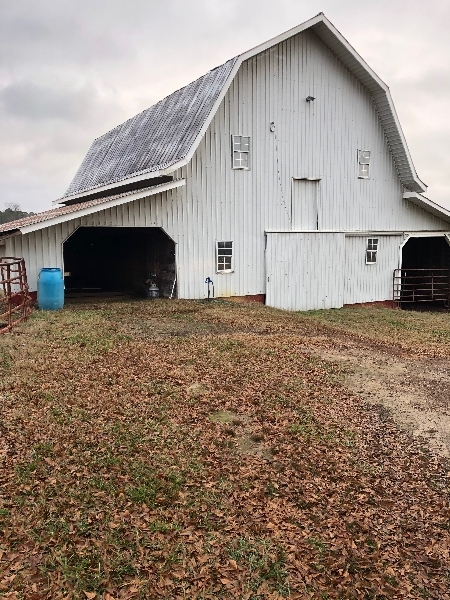 Barns for Sale | Do you want to buy an old barn, barn parts, or barn wood? Buy a barn as is, many in excellent condition. These as-is barns are for sale by private individuals as well as Barn Restoration and Relocation Companies. 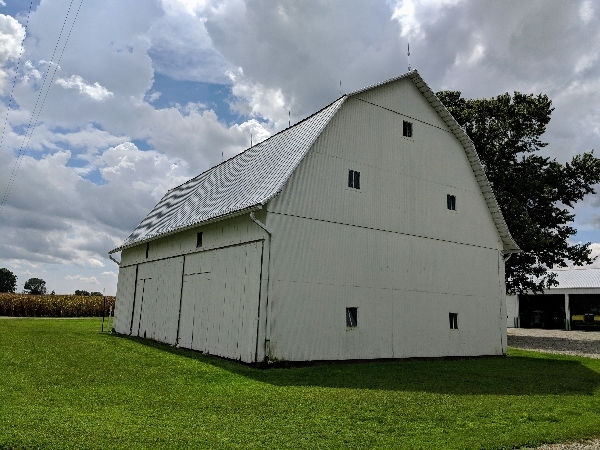 You may browse through the entire list or use our search feature for As Is Barns or Restored Barns (click links for definitions). You may also search by state, keyword and price range. 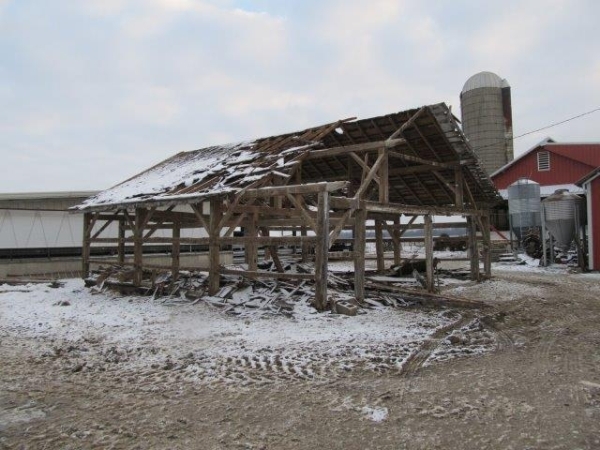 Click Here for General Information on Selling Old Barns. Description: Circa 1900 appears to be framed with hand hewn hardwood, presumably oak. 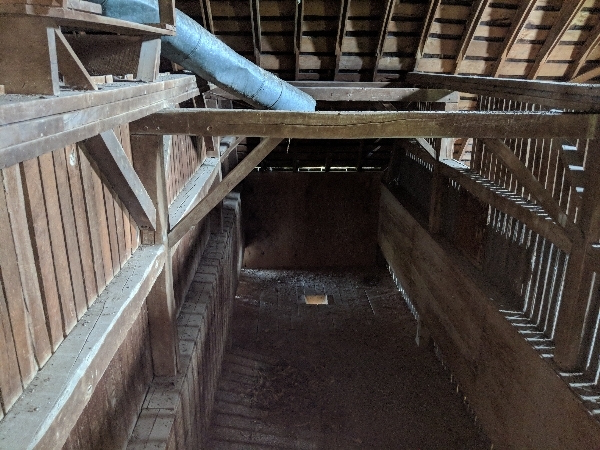 A portion of the barn has a loft. Description: The main part of the 2-story ban is 24' X 51' with an additional 1-story section on the back. Vertical wall beams measure 8 x 8 with 2nd story supports of 4' X 6 and 8 x 6 and a sturdy stair well. Barn boards are most often 10 wide with some variances of 7.5 to 11.5 wide. 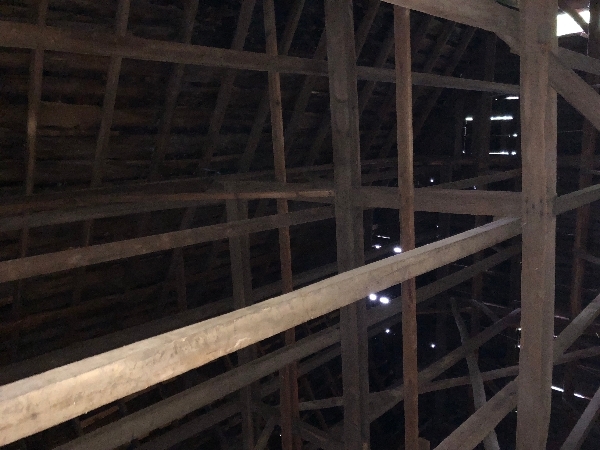 Barn is listing slightly to the left as you view it but no visible cracked beams and the barn generally remains dry and solid. We would love to see it enjoy a second life as we cannot restore due to unexpected disability. 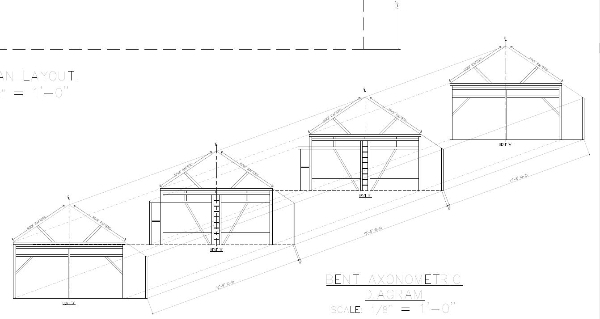 Description: 36 foot by 54 foot mortise and tenon barn. About 40 feet tall with corn crib. 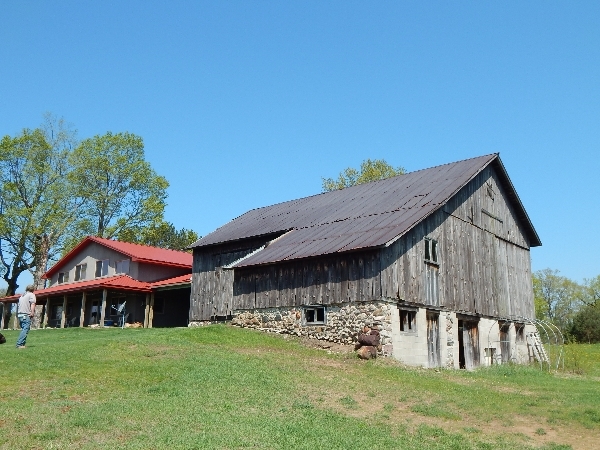 Description: This 1900 century hand hewn barn, has undergone a barn structural evaluation for conversion to residence. 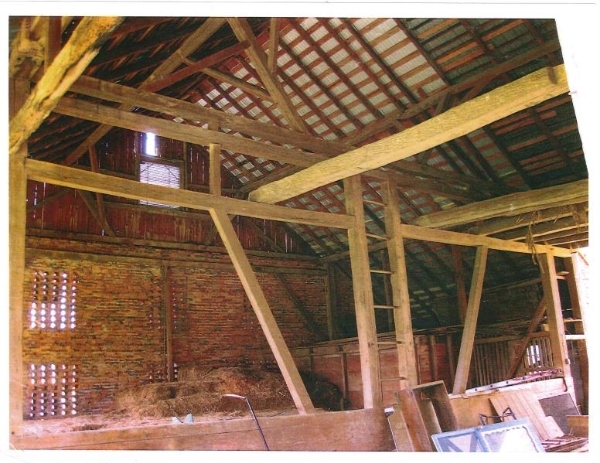 This evaluation deemed the barn in excellent condition. 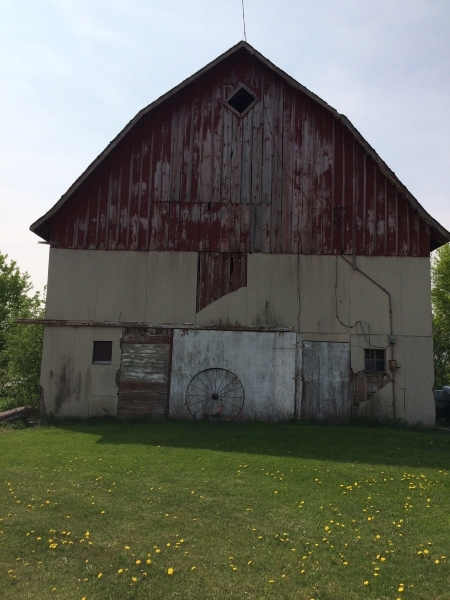 The barn is approximately 30'x50' with a haymow level. 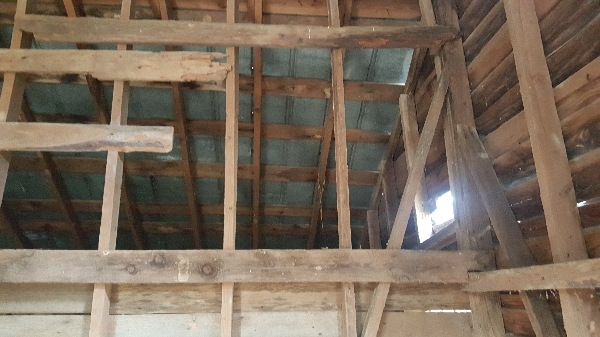 The barn rafters appear to be hardwood with hemlock framing. 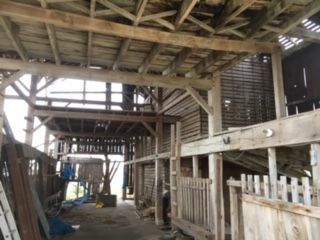 There are beech floor joists and the main north-south beams in the floor framing appeared to be hemlock. 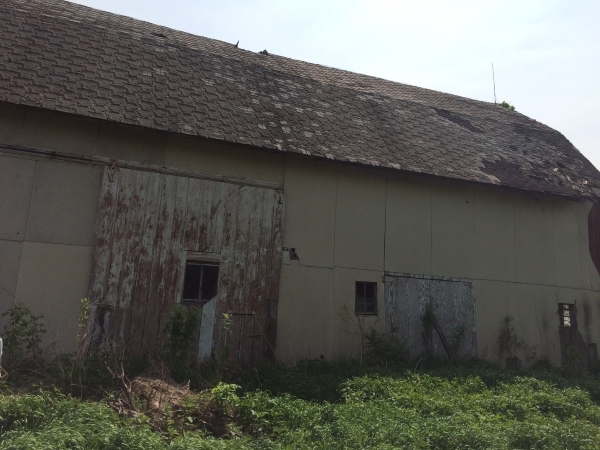 The siding has recently removed yet available with the sale of barn. We will do cleanup. 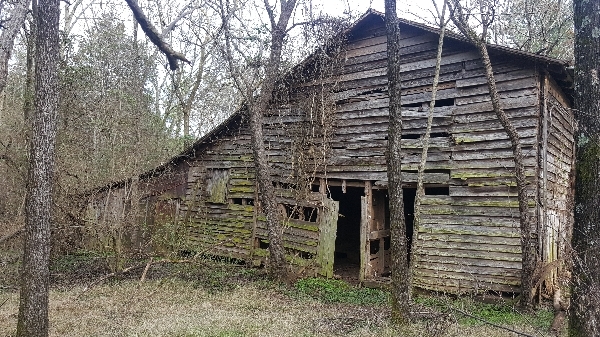 Description: I have a old 2 story barn in Cullman Al , im offering the barn to be sold before I tear it down. 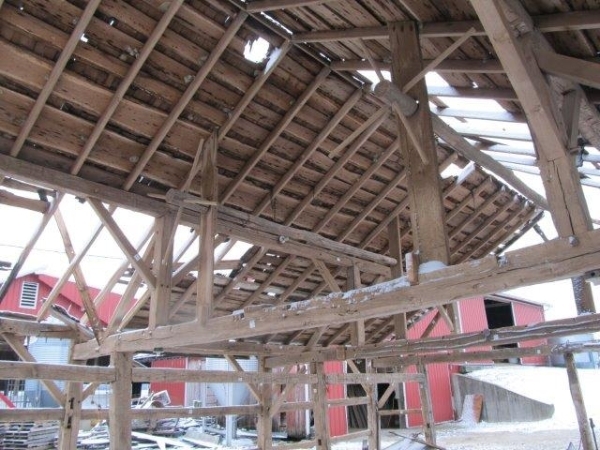 Description: An unusually beautiful Civil War Era barn frame only from Adams County. The frame has been professionally labeled and stacked on a flatbed trailer under rubber. We have CAD drawings and the disc is available. This frame has two similar bents marked B on the drawings. These are hand hewn and draw knifed smooth white oak mortice and tenon frames that include the original hayloft ladders. The waist high 1” white pine hay mound siding in the photos did not survive the dismantle. 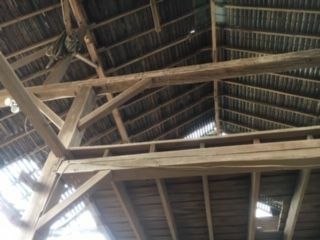 The purlin supports are heavy tapered timbers nicknamed “gunstock posts” which are larger at the top to support the purlin splice and tapered to 8” at the joinery on the frame. 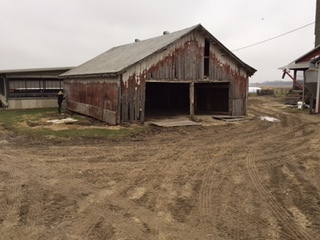 The barn originally had red brick ends with wooden barn siding gables, which means bent A is an offset frame with the gable end portion cantilevered over the masonry. 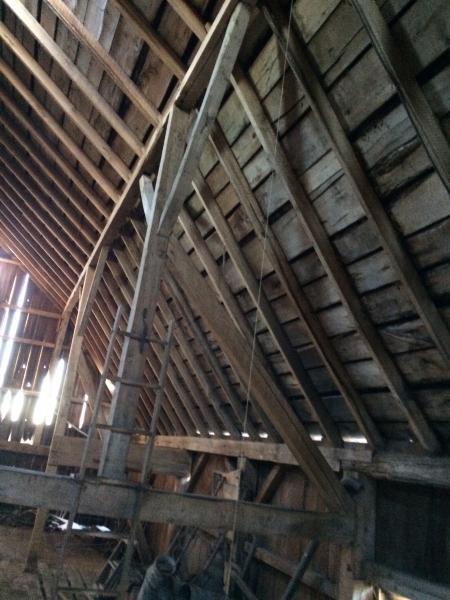 The water mill sawn tapered rafters are included. 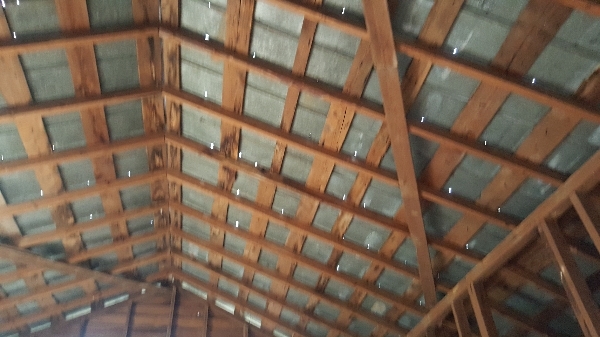 These rafters were originally on 2’ centers. Hay loft logs and original oak pins are included. The barn measures 60 x 40 and yields 2400 sq. ft. on the main floor and 2000 sq. ft. on the lower floor with the forebay deducted. 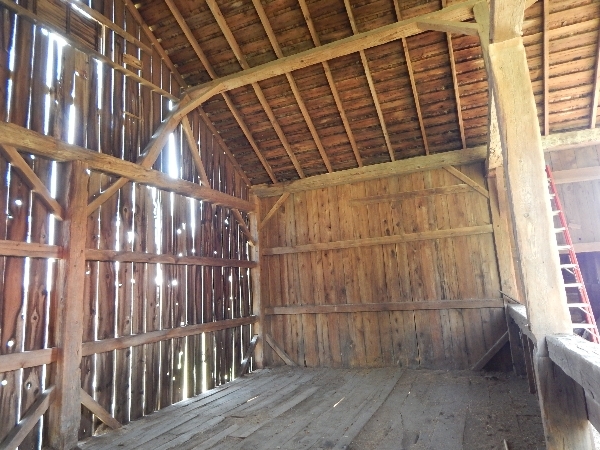 Description: Gambrel style barn built in 1927 still has all original structure wood with mortise and tenon joints. Includes an original, 1930s vintage, John Deere bucket elevator. Wood siding has been covered with tin siding for 40 years. 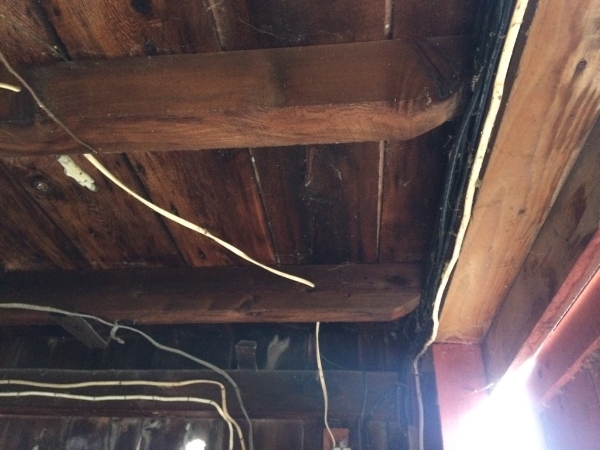 Virtually no rotting (some slight around a window) and roof is virtually leak-proof. 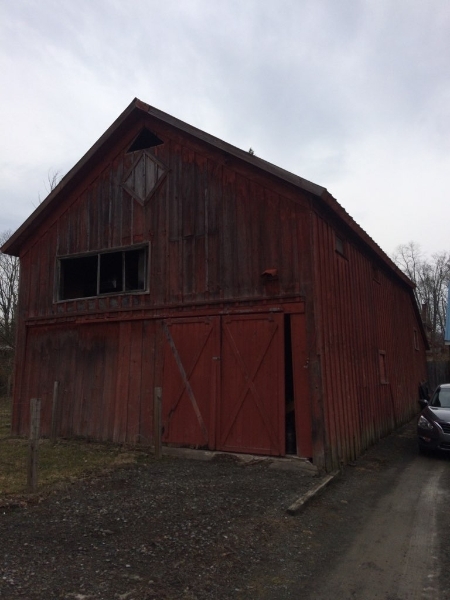 The features of this barn compared favorably to commercial grain elevators of its time. Second floor has open grain bins. 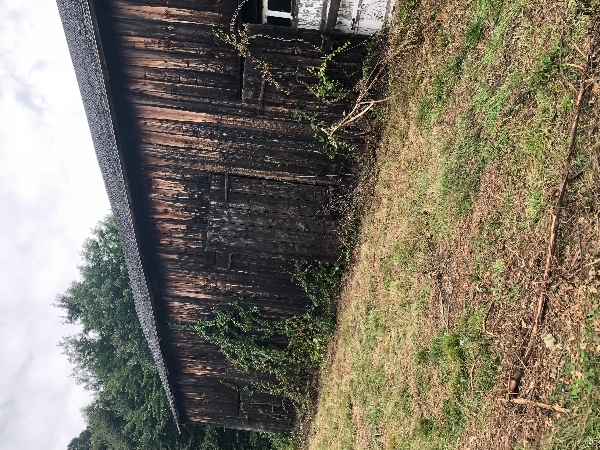 The native timber on this barn was sawn, with the ends hand hewn. The posts are oak. Concrete footers are assumed to be 3 ft. deep. Five bays: 3- 12' and 2 - 10'. Floor joists are true 2 X 12' and 14'. Also found in the barn is hickory, and maybe cotton wood. Many more pictures to show detail. 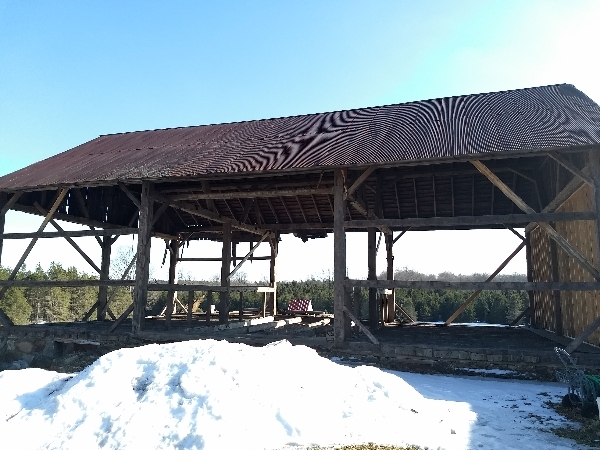 This barn was built by our great-grandfather. 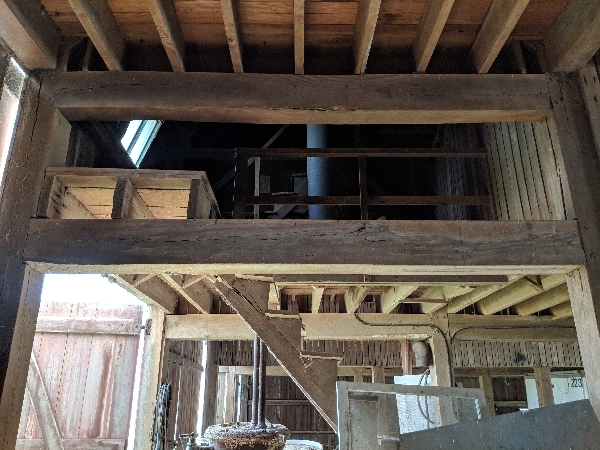 Description: For sale is an early 1900's barn on my family farm. 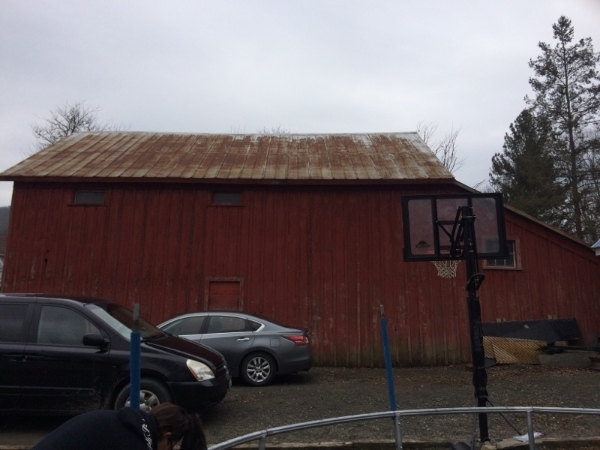 The barn is approximately 40'x60'. 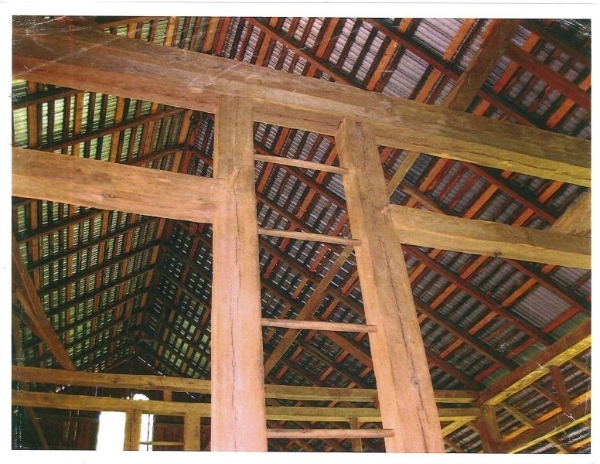 The main beams are approximately 8x8 in various lengths. 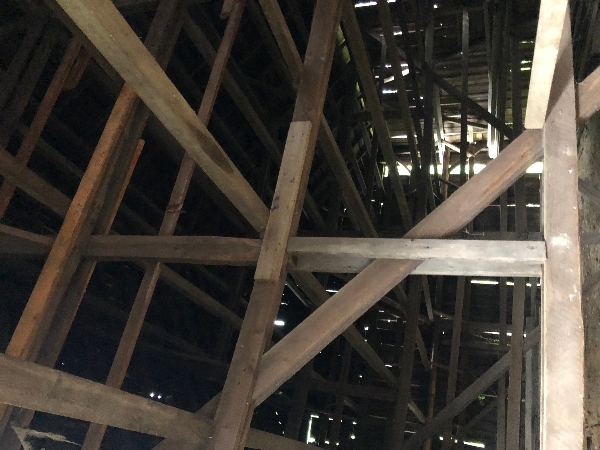 The beams do not appear to be pine or fur. I will provide a dumpster for the shingles and slate siding. More pictures are available.